Heading into the 2018 offseason, the Oklahoma City Thunder's primary objective was to convince Paul George to sign a new extension. With rival teams such as the Los Angeles Lakers interested in signing George, few expected the Thunder to convince the All-Star to stay, however, much to the disbelief of most analysts around the league, the 28-year-old committed his future to the franchise until 2021. 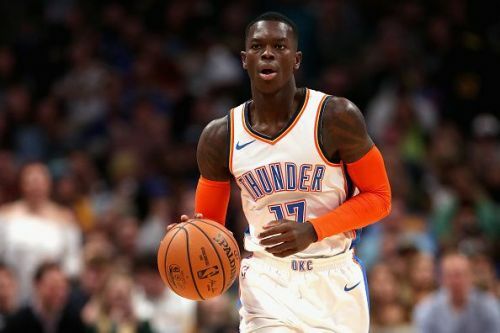 While the re-signing of George was evidently crucial to the Thunder's ability to compete in the forthcoming years, it also left the franchise with one of the largest payrolls in NBA history. Due to this, the Thunder's ability to compete in the trade market is currently restricted, and here we will explore three players the Thunder should let go in order to free up resources. 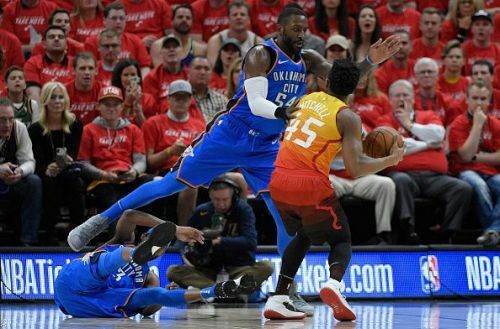 Patrick Patterson's arrival in 2017 was widely commended as a great piece of business by Sam Presti and the Thunder. After all, Patterson was coming off a season in which he performed well from the Toronto Raptors' bench, and handing him a $15.5 three-year deal looked to be a no brainer. Nevertheless, after making a solid start to life in Oklahoma City, Patterson's performances slowly declined, and in recent months the 30-year-old has barely featured at all. For the season Patterson is averaging just 14.4 minutes per game, playing just nine minutes over the Thunder's last ten games. The power forward has slipped behind the likes of Terrance Ferguson and Markieff Morris in Billy Donovan's rotation, and due to this, Patterson is offering little in return for his $5 million annual salary. His contract has one more season to run, and it makes little sense to retain him in his current role.